Advice and tips on applications, college success, finding scholarships and more. Your college freshman has probably been on campus for at least a week, or your high school senior may just be starting classes, depending upon where you live. Whatever your situation, I’ve found articles and posts that should assist you with parenting as you navigate this transitional period in your life. Time for you to learn something new today. Taking on the role of college parent Amy Joyce provides nine tips on how to be a good college parent in her article for the Washington Post. Check out my post on “Emptying the Nest, One College Freshman at a Time,” for more advice. Making applications go smoothly Brian Witte provides five time-saving tips for college applications in his post on U.S. News & World Report’s Education blog. A little organization and some sleep go a long way to facilitating the process. Check out my post on this topic as well, where I detail how to make the application process easier on everyone in your family. Finding success at college Richard Perez-Pena of the New York Times shares the initial results of a study by Kelly A. Hogan of the University of North Carolina at Chapel Hill on how more active participation by students in college courses results in better grades, particularly for those who are black or first-generation. The improved outcomes are seen in courses based less on lectures and more on interaction in the classroom and reading outside of class. If you think your child would benefit from this type of class structure, seek out colleges that offer more courses like these, which can even be found at big universities with large class sizes. In his article for the New York Times’ Upshot, Kevin Carey examines the challenges young adults face because of a lack of learning during their undergrad years. A study entitled “Academically Adrift” and its follow-up, “Aspiring Adults Adrift,” conclude that colleges are failing to adequately educate their students, and often don’t demand enough of them. They also show that students who put in extra time studying and take courses in which more is expected of them, find more success than their peers after graduation. Just another reason to encourage your college student to work hard and take challenging courses. Giving your daughter access to a career in computer science Bianna Golodryga of Yahoo News explores Square’s College Code Camp, designed specifically for female college students interested in computer programming, developed by Twitter co-founder and Square CEO Jack Dorsey. If you’re daughter shows any interest in this field, begin researching this camp, and others, to help her navigate her way in this male-dominated, in-demand, well-paying career field. Keeping a lid on application costs College application fees can be as high as $90 at some elite universities. But at least 25 of the schools on Forbes’ top college list charge no fee. Susan Adams highlights them in her article. Making room for more college students Stanford University plans to increase its undergraduate enrollment, according to an article by Nick Anderson in the Washington Post. With more high school seniors applying to college than ever, it makes sense that elite colleges and universities will need to make room for more students. Let’s hope this is the start of a trend. Helping with the college search Parents should assist their children in figuring out where to go to college, and Daniel R. Porterfield gives tips on how to do that without being overbearing in his article for Forbes. Searching for college scholarships Regular readers of this blog know I am a big advocate of borrowing as little as possible to pay for college. But where do you find the money when your family just doesn’t have enough saved to cover the high cost of college today? Jodi Okun provides practical advice on where and how to look for scholarships in her post on The Balance. 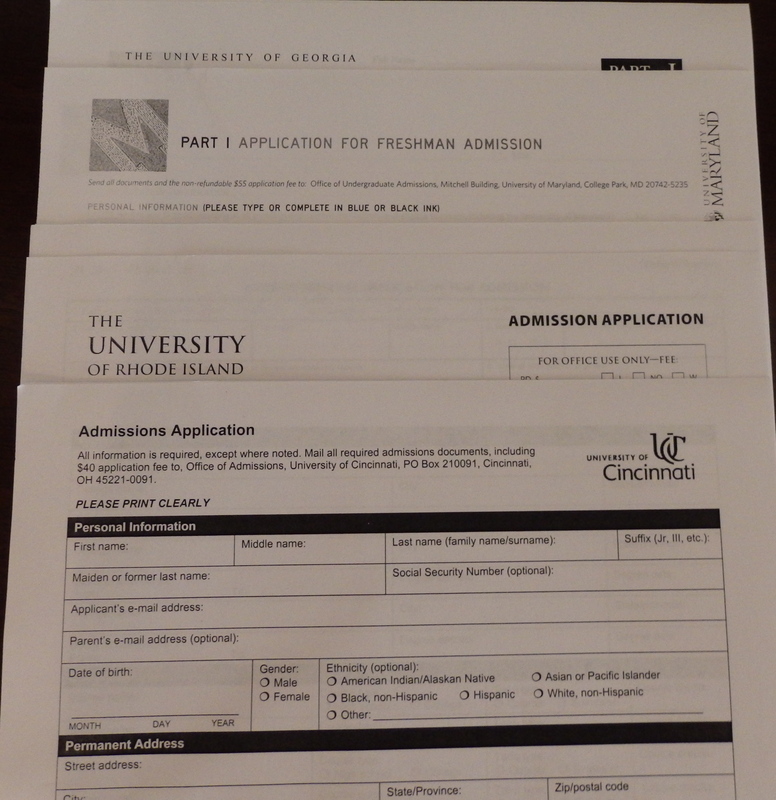 Getting answers to your burning college admissions questions Jeannie Borin addresses some of the nagging questions students and parents have about the college application process in her post on Huff Post. Share comments and any articles you’ve found helpful in the comments section below.